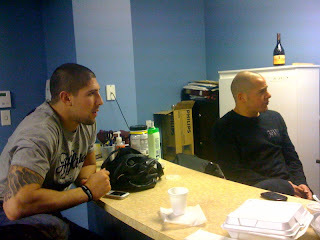 Here are @brendanSchaub and Jon Chaimberg at Jsport. We liked the Middleweight fight with Simpson and Lowler. We thought Lowler won but it was close and a great fight either way! Now it's bed time at the hotel. Boxing and Wrestling is tomorrow.